Rugged, good looking. The phone case that is. I've only had a this case a week or so but like the looks. The stand makes it easy to watch videos. I haven't dropped my phone yet (and have no wish to) but the case feels as if it would protect it. Great service and prompt delivery.Thank you. The quality is for real!! I was a little suspect because compared to other places I had checked out, the prices were much lower and I knew I needed quality. But, I'm glad I took the chance because they have quality products for prices that aren't absolutely ludacris. 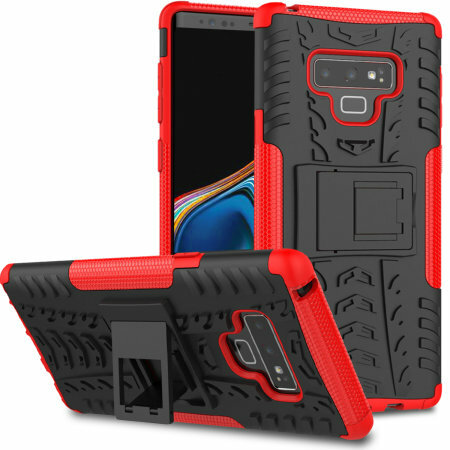 My note 9 case is great and one of the best cases I've had for a phone.